The Extruder Body MakerBot II - Right is designed to feed 1.75mm filament at precision rates, and is built to enhance print quality by reducing filament slippage when feeding it through 3D printing Heater Blocks and Nozzles. 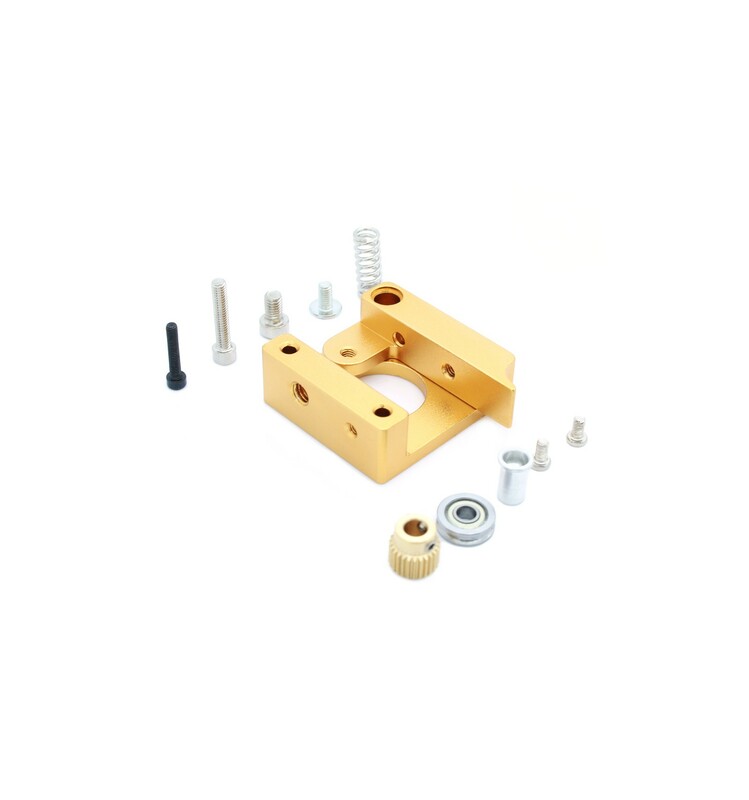 By utilising a stepper motor, a strong-grip drive gear and a cleverly designed tension spring, this extruder body ensures that the optimal amount of filament is being fed through when it needs to. In the past, little attention was paid to the filament feeding process, which resulted in the heater block and nozzle receiving either too much or too little filament. This was due to the varying heat as the print completed each phase, and sometimes the filament would be warmer or cooler before entering the heater block. Fortunately, this new motorised design ensures that the filament is fed at the left rate, regardless of how hot or cool it is, since it is being pushed into the heater block by a precision motor. The spring system also ensures less slippage, even if the spool or filament feed into the body is tight or loose, which in turn provides the nozzle with the perfect amount of liquid filament to produce quality prints. This particular version is designed to be used on the right hand side, which is important in some 3D Printers, or if you are planning to build a dual-extrusion printer. 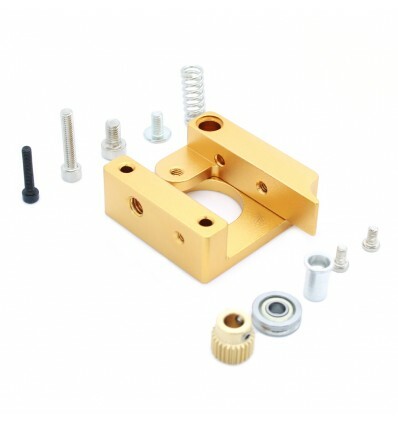 We also stock the Extruder Body MakerBot II - Left 1.75mm, which is the left-side variation of this same product. This right variation of the MakerBot II Extruder Body is designed to fit most DIY 3D printers, and is built to take up more space on the right hand side. This is so that it can be used in combination with the Left variation of the MakerBot II Extruder Body for Makers who are eager to build a dual-extrusion printer. However, the design lends to both dual and single-extrusion printers, and the choice between right or left may simply be a matter of aesthetics or convenience for you. So don’t hesitate to contact us for more information about the two variations, as we are always eager to help 3D Makers through this fantastic open-source movement.